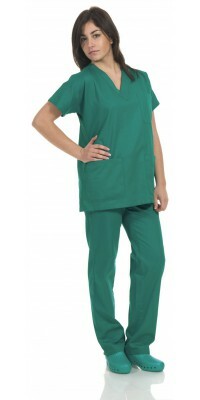 Clinic Outfits There are 4 products. Corbara’s Professional Wear: Clinic Outfits. 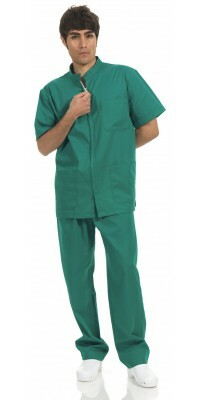 This series of Professional Wear, with the classic health style, is used, in addition to the medical field, in all those facilities that need a practical outfit easy to wash, such as, to give an example: thermal SPAs, wellness centres etc. 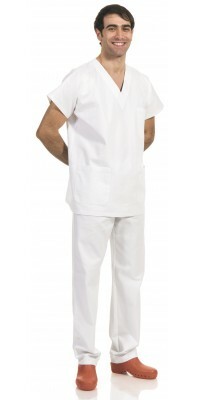 Made of comfortable and resistant pure 100% cotton gabardine, the clinic outfits are available in White and Green. - Outfit with V-neck whose classic V-necked tunic has no openings. Both models are matched with practical trousers with laces (included in the price).